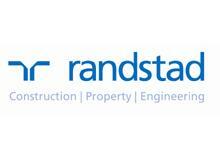 Randstad CPE (Construction, Property & Engineering) is a specialist recruitment agency, providing permanent and temporary recruitment solutions for the construction, property and engineering sector. In Construction: Architecture & Design, Civil Engineering, Construction, FM & Maintenance, Housing, M&E, Planning, Surveying, Trades & Labour. In Engineering: Aerospace, Automotive, Environmental & Geotechnical, Logistics, Oil & Gas, Power, Rail, Renewables & Water. If you... Read more are a job-seeker, looking for a job in the Construction, Property or Engineering sector, visit our website for a wide range of job vacancies and register your CV. Alternatively call us to discuss your needs. If you are an employer seeking to recruit construction or engineering professionals, we can help in all aspects of identifying and recruiting the right candidate for you. Call our Maidstone office today or register your vacancy on our website and we’ll call you.